ASA, the UK advertising watchdog, has ordered BSkyB to stop exaggerating the speed of its film download service, after rival BT complained its claim that it was “instant” was misleading. BSkyB ran a press ad promoting its new film rental service, Sky Store, marketing it as a “movie store in your home – available instantly through your Sky+ box … rent movies instantly”. 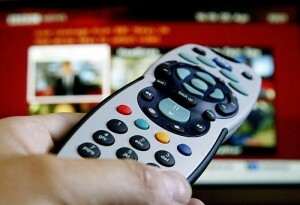 BT argued that Sky’s claim exaggerated the speed with which films would be available to consumers using the service. Sky said that customers would understand that “rent movies instantly” meant via a download to the Sky+ box, and that films would be available to view very quickly – “within seconds, as opposed to minutes”. The advertising watchdog was not backed BT. It said that making a claim of “instant” indicated to consumers that they could watch a film “straightaway, or with no noticeable delay”, when in fact Sky admitted that for some viewers with slower broadband connections the delay could be considerably longer.